Songkran holiday is over, and I’m here in the office killing time before my class. But upon opening up news article of The Nation online, their AIT post greeted me with this. 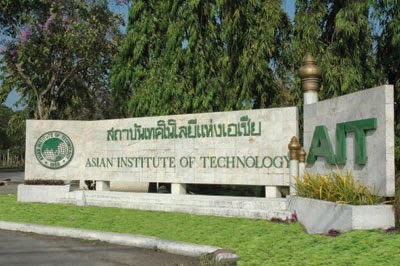 The Asian Institute of Technology (AIT) in Thailand has tied for the title of the world’s top international university in the U-Multirank 2015 Institutional Ranking released last week. AIT claimed joint top rank in ‘international orientation’ of the new global university ranking among 1,200 universities from 83 countries. In the second edition of the annual ranking announced on March 30, universities were compared using a variety of indicators across five dimensions – teaching and learning, research, knowledge transfer, international orientation and regional engagement. AIT stood out as the only university in Asia among the top 41 universities in the world to receive full scores under ‘international orientation’. The Pathum Thani institute earned straight “A” grades for its student mobility, international academic staff, international joint publications and international doctorate degrees. AIT received a total of 11 “A” scores out of the 31 criteria, “placing it among the top 12% of the institutions that show a broad range of very good performance,” U-Multirank said. AIT topped the table of five participating universities in Thailand, and was ranked 15th out of 202 selected universities in Asia. Previous Previous post: Crab, back off!